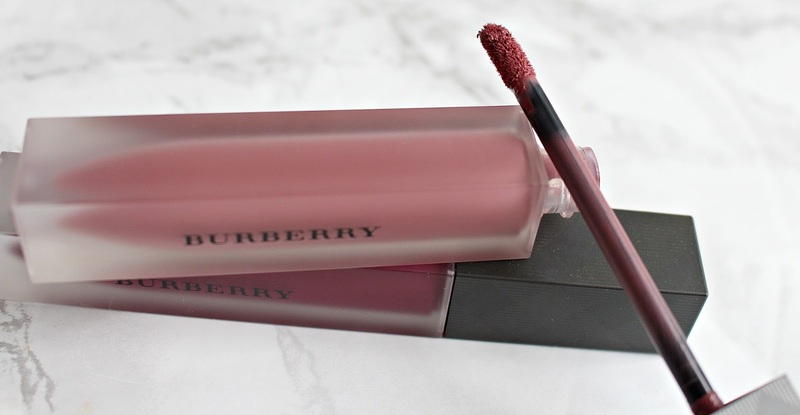 New to Burberry's beauty line are the Burberry Liquid Lip Velvets. 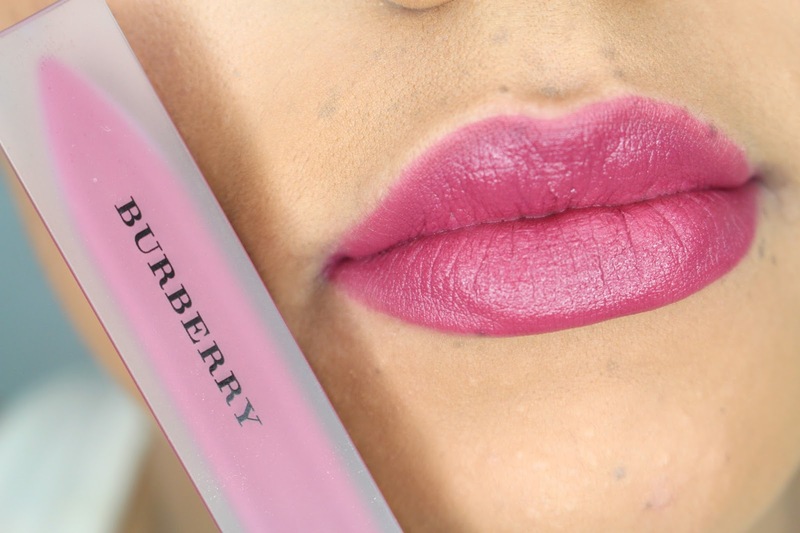 In a sea of drying liquid lipstick formulas, these are a saviour! These retail for $34 USD/$38 CAD and come in 14 different shades. The range is quite versatile, a selection of nudes, pinks, reds and berries. 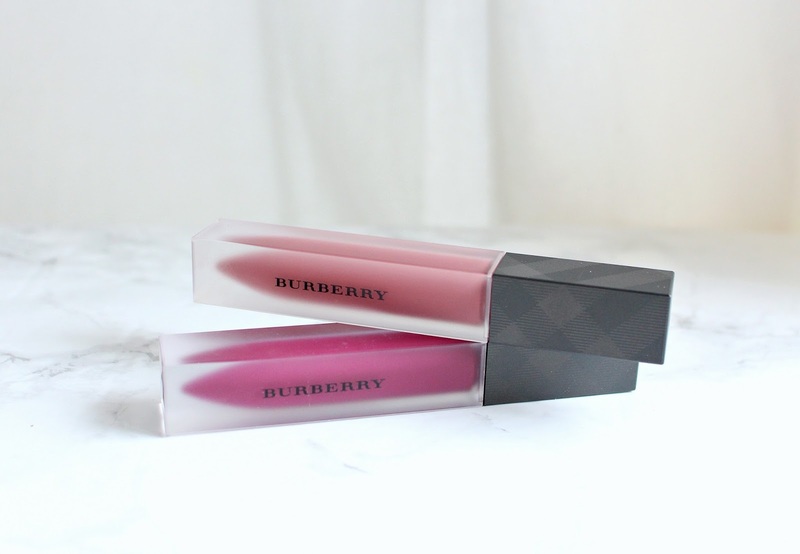 As to be expected, the Burberry Liquid Lip Velvets have gorgeous, sleek packaging. 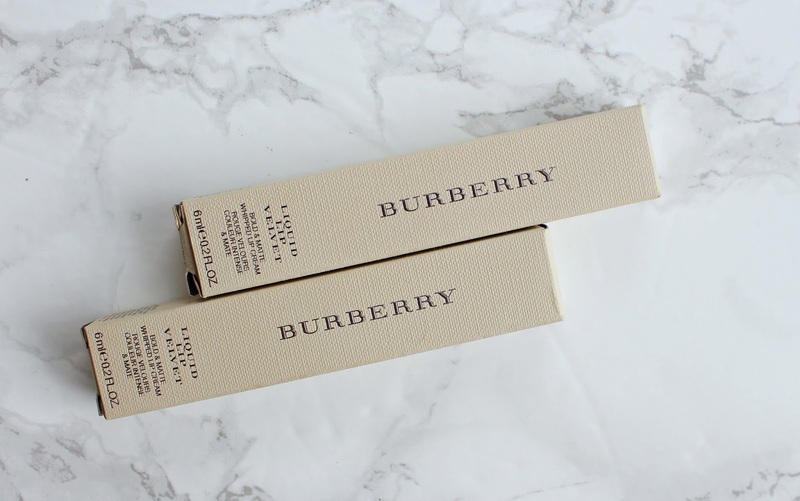 The top is a the deep chrome shade that embossed with the Burberry print, the tube itself is a thick frosted glass. The doe foot applicator allows for comfortable and easy application. It's formulated without parabens, sulfates, phthalates and lanolin. The texture is whipped, and applied matte from the start. 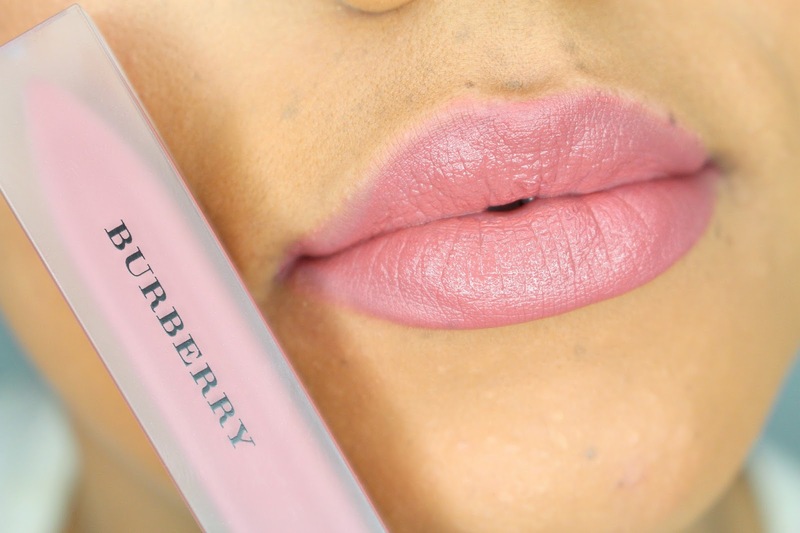 This differs from a lot of other liquid lipsticks that go on liquid and dry down matte. 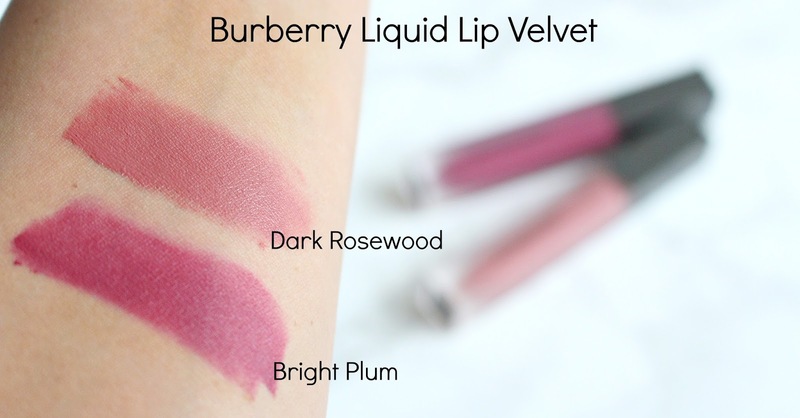 The Liquid Lip Velvets glide on smooth and can be applied lightly like a stain, full colour or blotted down to ensure for an even longer wear. There is some transfer, when drinking, kissing etc - but this is to be expected in a formula that is more moisturizing. I'm totally okay with that! It is nice to put on a lip product that has a sleek matte look but does not leave your lips feeling or looking dry. You can get a full day wearing depending on what your up to out of this formula. The deeper shades will leave a stain, and the lighter shades will fade a little faster. That being said, if you add a lip liner and blot after application that will help with wear time. For me, I have no problem reapplying a formula like this because it is comfortable. It does not bunch up or look patchy on touch up. I really enjoy these, and recommend. The formula is so comfortable, great wear time and good selection of shades. I also can't deny that the packaging isn't a huge draw, so luxe! *These products were provided for my review, and some links are affiliate. Uuuuugh, they're both such pretty shades! Winter Survival from Beauty United!